My mother was a patient on your unit from October 2nd thru October 13th. My mother went home on hospice on the 13th and passed away on October 18th. I am so impressed with the care my mother received. The staff that cared for my mother were exceptional - with special thanks to the day shift nurses Sarah N, Shelby, and Brooke and night shift nurses Alex and Jeremy. The nurses showed my mother such compassion and helped her, and my family, through the hardest time of our life. It was a long 12 days in the hospital with my mom vomiting, in pain, and confused. When she was admitted, we thought it would be a quick admission for pancreatitis, and ended with a discharge for home hospice. There was a roller coaster of emotions for all of us. Without the knowledge and support of these nurses, this situation would have been much worse. I also appreciate that the nurses encouraged me to be the daughter and not the nurse. It was so hard to leave the care of my mother in someone else's hands, but after getting to know her nurses, I was comfortable going home, and knew she would be in excellent hands. I truly want to thank you. I have worked and dealt with many units throughout the health system and I feel that the staff on 6 South are role models for all of us. Their dedication to oncology shines through in their care!! 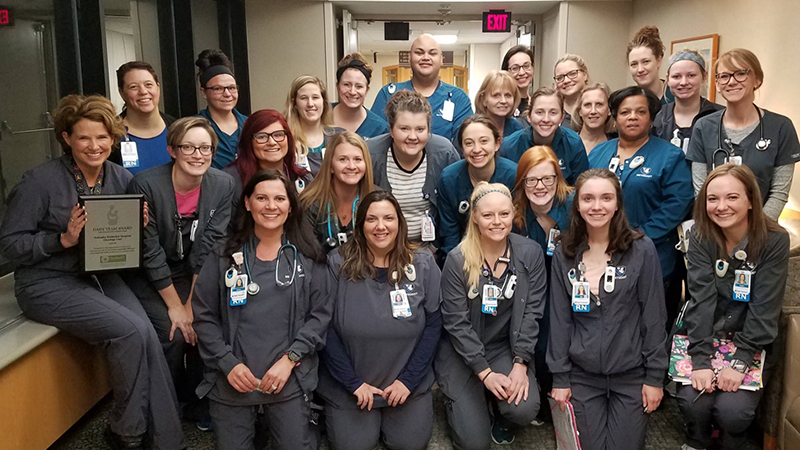 The Team on 6 south was nominated for the The DAISY Award, a nationwide program that rewards and celebrates extraordinary skill and compassionate care given by nurses every day. Nurses can be nominated by anyone, including patients, family members, physicians, supervisors or peers. For more information and to nominate a nurse at Methodist Hospital or Methodist Women’s Hospital, visit www.bestcare.org/daisy.